Growing up I don’t think we ever ate ground turkey – was that even a thing in the 90s? Now I love using it as a healthy dinner ingredient. 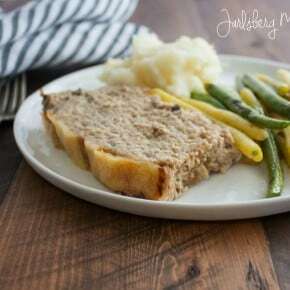 I’m totally in love with making meatloaf recipes (as you can tell from my previous posts on mini cheese stuffed meatloaf cups or this mushroom and Jarlsberg meatloaf) but have never shared my tried and true plain ‘ole meatloaf recipe that I make. It’s totally not boring, I promise! In fact, you guys already know how I feel about the term ‘the best’…I shared when I posted the best salted caramel chocolate chip cookies… I only use the term when it is something I’ve made countless times and it is truly delicious, deserving of the title THE BEST. 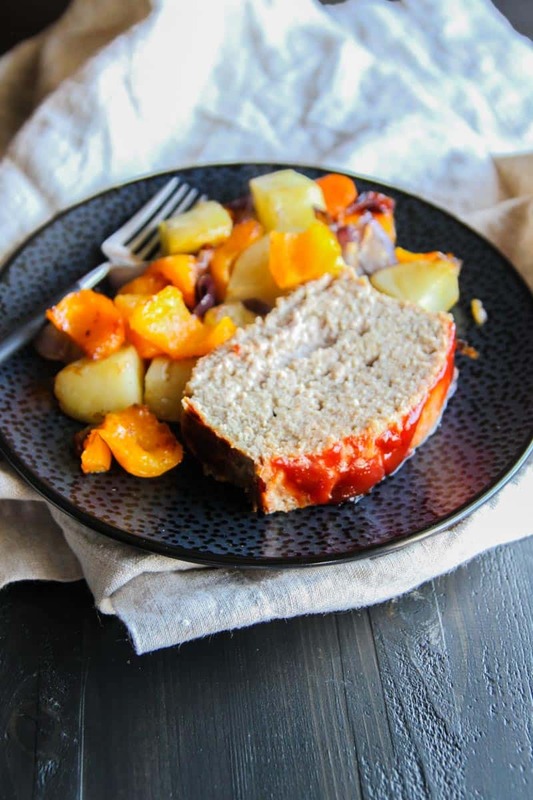 And this turkey meatloaf and roasted vegetables, man-oh-man, it is SO good and truly the best turkey meatloaf recipe! 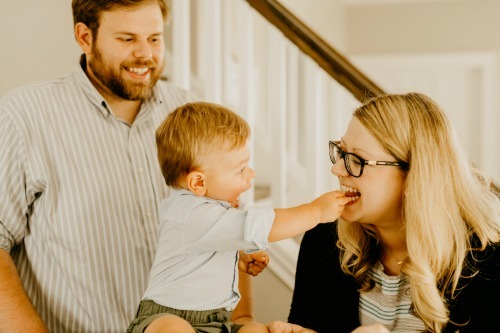 A funny side note here – I’m in the midst of finishing up my cookbook, right? Well I was emailing with my editor and she mentioned that she noticed I say recipes are my “go-to” a lot, that made me laugh, I told her it’s TRUE, certain recipes are my go-to ones. 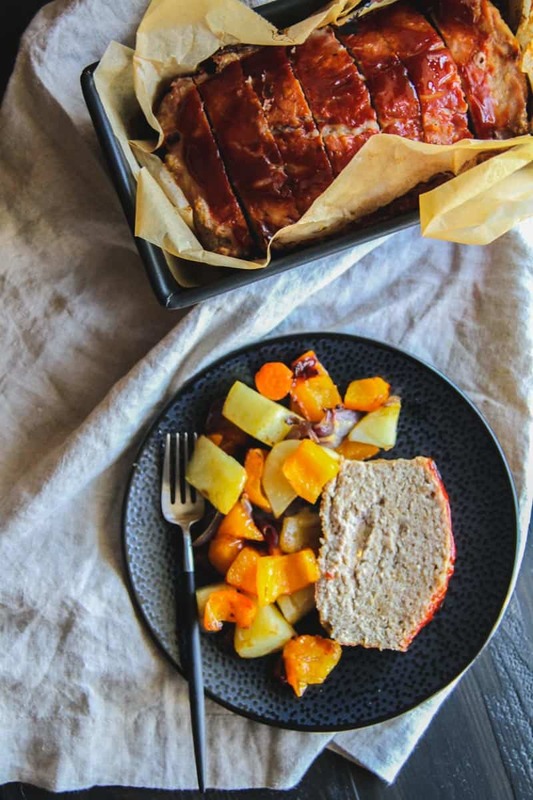 This meatloaf and roasted veggies would definitely fall in that category. Also you guys also know I’m all about meal planning and eating healthier, right? 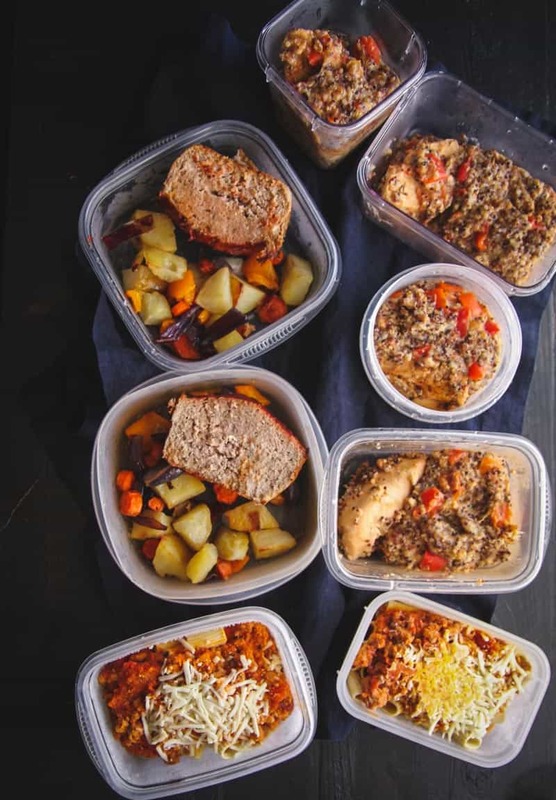 So I’m sharing a photo of this weeks’ meal planning-in the photo you see 1 recipe of this meatloaf and roasted vegetables divided and then 1 recipe of this slow cooker salsa chicken and quinoa. Both recipes use ingredients purchased from Door to Door Organics, so I’m doing a huge giveaway! 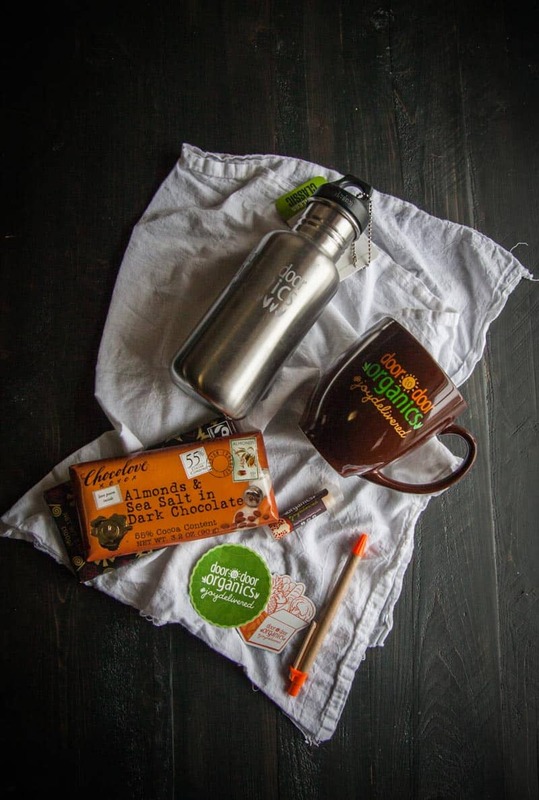 One lucky winner will win a $150 gift certificate to Door to Door Organics AND all the cool stuff in the picture below (two chocolate bars, a coffee mug, water bottle, lip balm and other Door to Door Organics goodies). To enter simply comment telling me what is your favorite nostalgic dish and enter the widget – one winner will be chosen February 28th. Preheat oven to 400 degrees. Line a loaf pan with parchment paper and set aside. In a bowl combine ground turkey, egg, sour cream, salt, garlic salt, Parmesan cheese, bread crumbs and 1 tablespoon Worcestershire sauce and stir until everything is incorporated. Transfer the contents into the prepared loaf pan. In a separate bowl combine remaining tablespoon Worcestershire sauce and ketchup. Spread on top of the turkey meatloaf. Bake meatloaf for 55 minutes, then remove from oven and let rest for 10 minutes, then slice into 10-12 slices. 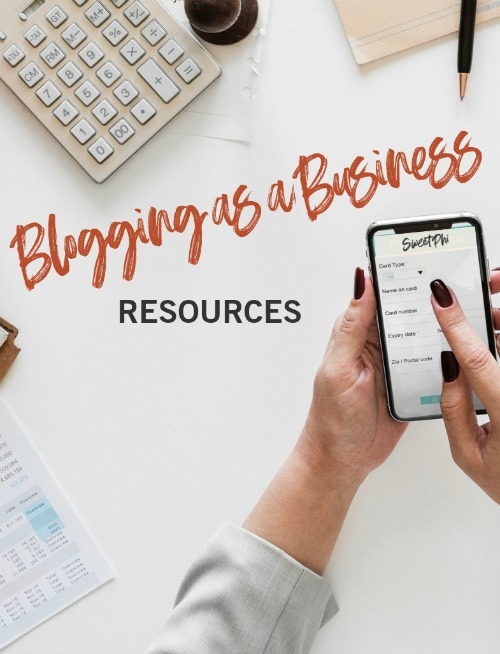 This post has been sponsored by Door-to-Door Organics, thank you for supporting the brands that make the Sweetphi blog possible, as always, all thoughts and opinions are mine alone. My favorite nostalgic dish is beef and noodles, when I was a young boy my grandmother would make it a couple times a month for us and even more often in the winter. She even went as far as making the noodles from scratch, truly miss it! Oh yum, beef and noodles sounds amazing – especially since your grandmother made the noodles herself – that’s quite the accomplishment! Thank you for commenting and entering. I’m going to have to make sure I have all the ingredients for this as soon as this ice outside melts. Looks amazing! My favorite nostalgic dish is my great grandmother’s Italian Wedding Soup. So easy to put together and tastes better after resting in the frig a day or two! 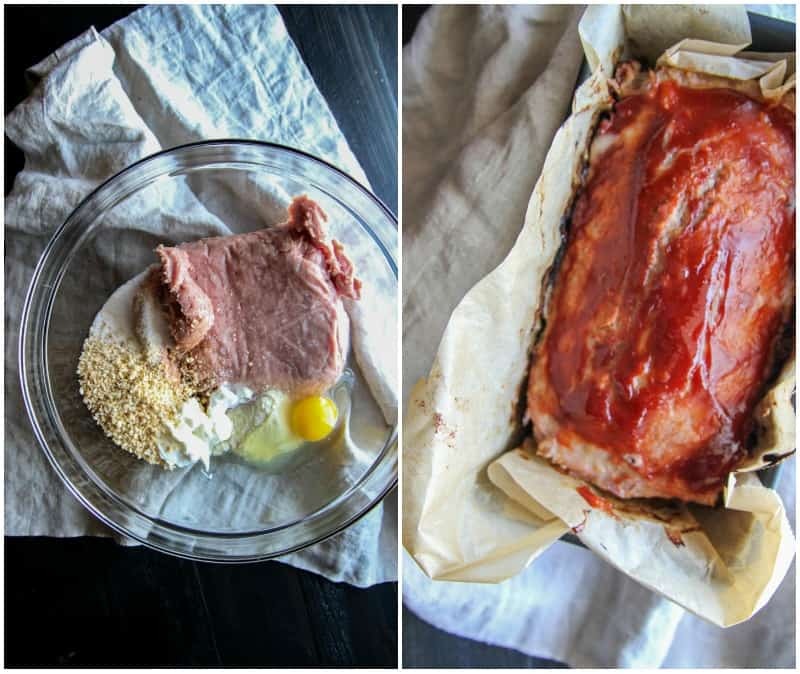 Thank you so much Pat, I think you will love this turkey meatloaf – it’s truly so good and I make it all the time! My favorite nostalgic dish is my mom’s chicken turnovers made with chicken, cream cheese, and onions, which is then stuffed into pillsbury croissants. So it’s definitely not a The Gourmet Gourmand style recipe, but I love it and make it from time to time when I’m needing some good comfort-food in my life. My grandmother made Shoyu Chicken – that is my favorite dish. Dishes made by grandmothers are always the best – I’ve never heard of Shoyu Chicken so I’ll have to look that up! 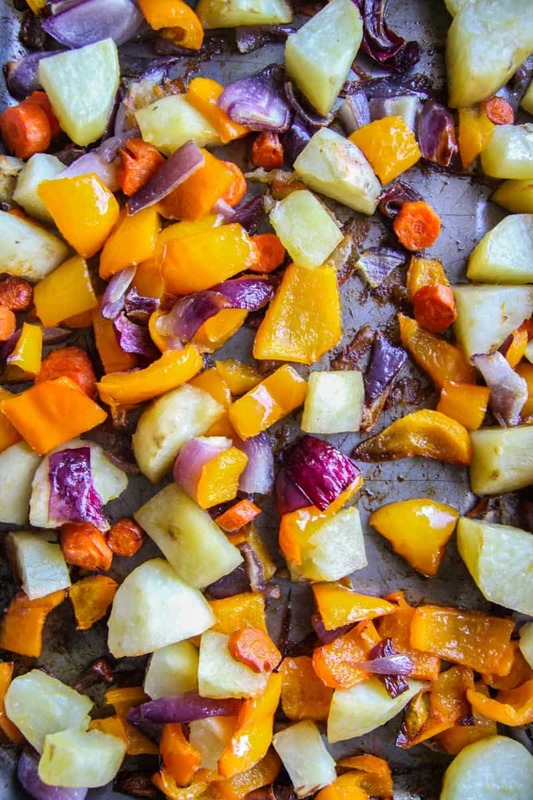 I am seeing roasted vegetables everywhere at the moment and that makes me very happy! It’s the best way to eat vegetables. hey girl this looks oh so yummy! Nostalgia ….my grandma’s gumbo. Perfect! Oh yum – you know, now I’m wanting some gumbo! The addition of sour cream is definitely the secret to having moist turkey meatloaf every time 🙂 Thanks for commenting! This looks delicious! Do you think it would still work if I made it in a cupcake tin? I love making individual meatloaf’s, for meal prepping my lunches, and also my husband is like 5 so he likes cupcake style. Also can’t wait to make those veggies! I love pretty much any roasted vegetable. We never tried a turkey meatloaf before, it sounds really interesting! 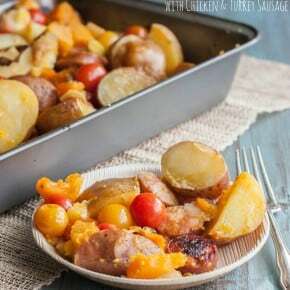 We bet with this recipe it won’t be boring and blunt, so we’ll be definitely giving this a go! Like you, we never had ground turkey in the 80s and 90s as we were growing up, but turkey is a very nutritious and healthy meat. Excellent idea Phi, pinned ASAP!